Eye muscle surgery for strabismus is one of the most commonly performed procedures involving the eyes. Parents seeking advice on what to do when their child's eyes appear poorly aligned are often told that strabismus surgery is the only solution. That is, unless they are fortunate enough to get an opinion from a behavioral optometrist. Behavioral optometrists offer non-invasive vision therapy, which is clinically proven and highly successful, as the treatment of choice for poorly aligned eyes. Sometimes vision therapy alone is enough to get the eyes straight without the need for surgery. Behavioral optometrists understand that eye muscle surgery is sometimes necessary. Very few strabismus surgeons understand that vision therapy is critical if the eye muscle surgery is to be truly successful and long-lasting. 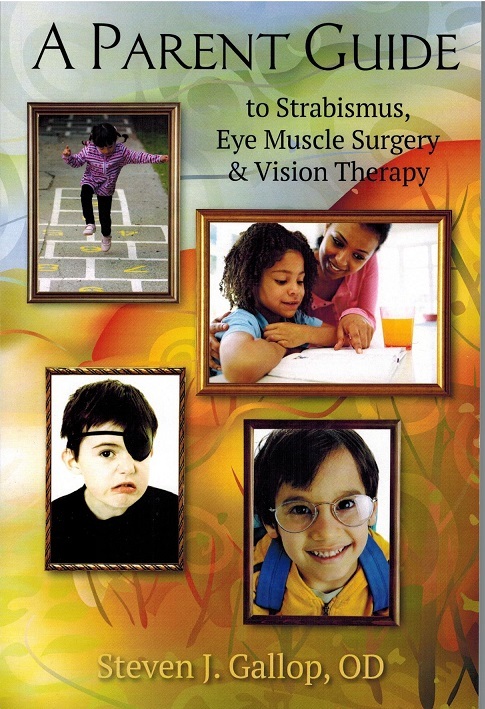 They certainly ignore the fact that vision therapy can prevent the need for eye muscle surgery in many cases. Statistics show that at least 20-30% of those having eye muscle surgery need more than one operation, and at least 20-30% of those need more than two eye muscle surgeries. Eye muscle surgery has a much greater chance of long-lasting success when vision therapy is part of the treatment. Strabismus surgery should almost always be a last resort, not a first resort, and never without vision therapy. Surgeons will probably not tell you this. I am currently working on a book (to be published in late 2014) meant for parents who are confronted with the decision of whether or not to pursue strabismus surgery (eye muscle surgery) for a child whose eyes don’t seem to be pointing at the same thing at the same time. This condition, technically referred to as strabismus, is often referred to as lazy eye. In fact, it is very unlikely that there is anything wrong with the eye muscles of someone with strabismus. Such eye teaming problems usually occur because the brain has not figured out how to integrate the two eyes together. Just a quick aside – an eye that has trouble coordinating with its partner should never be thought of as lazy. It is more productive to think of this eye as acting heroically by getting out of the way so the person can be more visually comfortable and more effective, with less effort and stress. The term lazy should be reserved for doctors who refuse to understand or learn that there are safe and effective treatments available to people of all ages with eyes that do not work well together. Surgery should only be considered in dire circumstances and in most cases should be the treatment of last resort, not the first thing we think of when an eye is not straight. I wanted to make this information available through my website without waiting for the book to be published for those in immediate need of this information. Surgeons will not provide non-surgical options to parents in distress. The vast majority of them insist that strabismus surgery is the only option. It rarely is. Surgeons seem more inclined these days to tell parents that there is nothing wrong with the child’s eye muscles, but that strabismus surgery is the only effective treatment. It is not. Optometric vision therapy has a long track record of successfully treating all types of strabismus without surgery. Vision therapy is totally non-invasive and safe. Strabismus surgery is extremely invasive, irreversible and guarantees damage to the eye muscle that is targeted by the surgery. Parents cannot rely on the word of experts alone. They must do some research and weigh all the options themselves. I am hoping to add to the existent information to make options available that are often hidden from view. Although we have two eyes, they need to work as a single unit. They must move, aim, and focus in unison at all times in order for the visual process to function as it was meant to function. There are many levels of eye teaming difficulty, from the very mild – where the eyes look normal and straight – to the very obvious degree described above, where it is obvious to any casual observer that the two eyes are not looking at the same thing at the same time. Why Are Older Children, Teenagers and Adults with Lazy Eye Still Being Told That Nothing Can Be Done for Them?